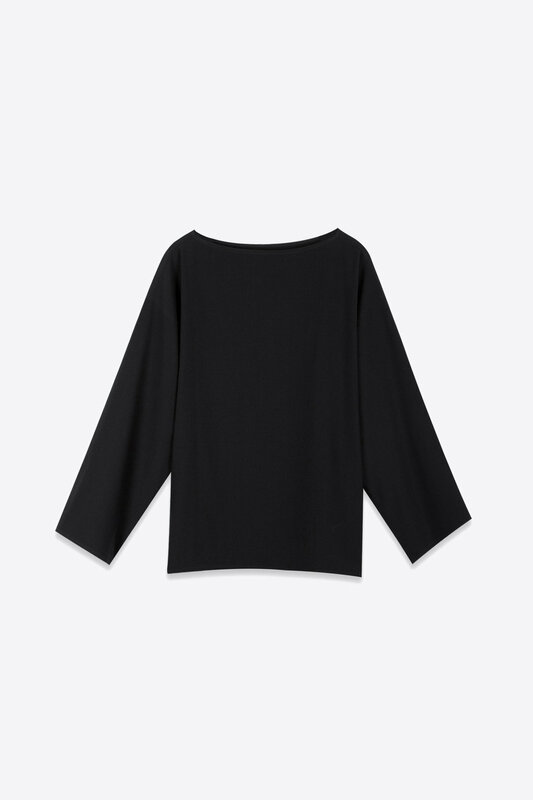 Simply divine, this minimal blouse embodies sophistication without forgetting comfort. Consisting of a linen inspired fabric, it features elegant side panels, dropped shoulders, and structured wide sleeves. Style under a tailored trench coat for a well rounded look with added warmth.